A creative and forward thinking inventor Ali Payani is about to launch a revolutionary new air quality measuring technology that will help save lives using Artificial Intelligence (AI). SAN FRANCISCO, CA, June 07, 2017 /24-7PressRelease/ — A creative and forward thinking inventor Ali Payani is about to launch a revolutionary new air quality measuring technology that will help save lives using Artificial Intelligence (AI). His innovative device allows asthma patients to prevent attacks and control the air quality around them. With over 300 million people suffering from asthma worldwide, 7 million people dying from air pollution each year and asthma costing the US $56 billion in medical bills and missed work – the problem is becoming more serious and patients are looking for solutions that will improve their life quality. the thing that makes the invention so revolutionary is the use of Artificial Intelligence algorithms, making the invention the most advanced device on the market – Payani’s unique project goes beyond what has been known to patients so far. The special set of advanced features, Asthma+, is created with asthma patients in mind giving them even better tools to protect their health. This advanced device is an air pollution detector and personalized asthma patient’s assistant in one. The device can detect a wide range of Volatile Organic Compounds as well as harmful gases such as NO2 and NH3. According to Asthma UK, “Investment in digital technologies will be a game changer in health management, helping to support self-management and reducing pressure of GP’s.” Payani’s helps asthma patients, as well as athletes, children and everyone who’s concerned about the air quality around them. It improves lives and warns users of dangerous air conditions. What’s more, preventing asthma attacks can help save 3 billion dollars in direct costs and around 1.5 million dollars in indirect costs. Despite his young age, Payani’s name is already recognizable in the technology world. He won numerous awards and gained recognition in technology circles for his inventions and progressive work. Payani is a world-class expert in utilizing artificial intelligence and the newest technologies to create revolutionary devices used in both education and health sectors. 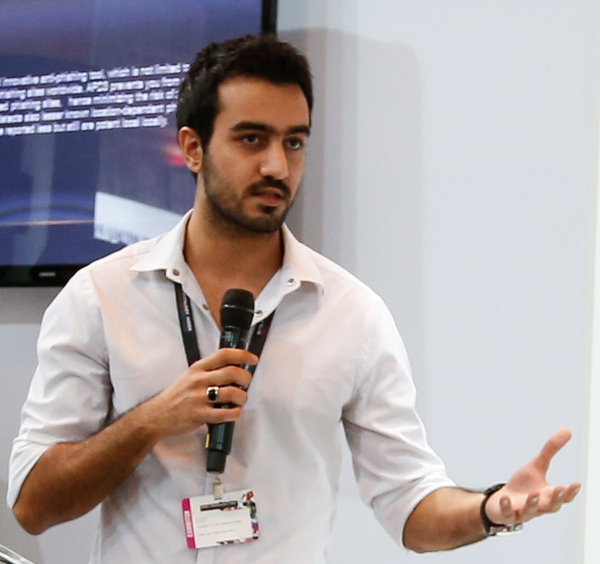 In 2013 Payani won the Gitex Award in Dubai for his work on Auto Phishing Detector (APD). Payani’s project was voted the Best Innovation by the exhibition visitors. With phishing attacks increasing by 250% only in the first quarter of 2016, preventing such attacks becomes a more pressing issue. Using AI algorithms, Payani’s applications makes is the most innovative and advanced detector available today. Payani’s passion and revolutionary inventions, as well as his successful participation in technology contests around the world has quickly been noticed in the wider science and business circles.the inventor is planning on developing the AI algorithms even further with his US based start-up. According to Payani, “Technology should be able to help people and provide innovative solutions to real problems that ordinary people are facing every day. I strongly believe that there is a way to do it better and I am determined to find it.” The young entrepreneur has already caught an eye of big companies and accelerators willing to invest in the project and help to develop it further.